Got some time to make your party great? Then hit us up and we can get you the most amazing custom, hand crafted piñata you've ever seen. Send along a note with what kind of piñata you are looking for. Be specific, give size, colors, dates, location for delivery. We will get back to you with a quote. Check out our instagram, flickr or blog... but honestly, we can make anything! Nothing is too big or too small given enough time. Once, we created 500 mini owl pinatas for Warby Parker's 5th anniversary! So thinking of making a special marketing event even more special? 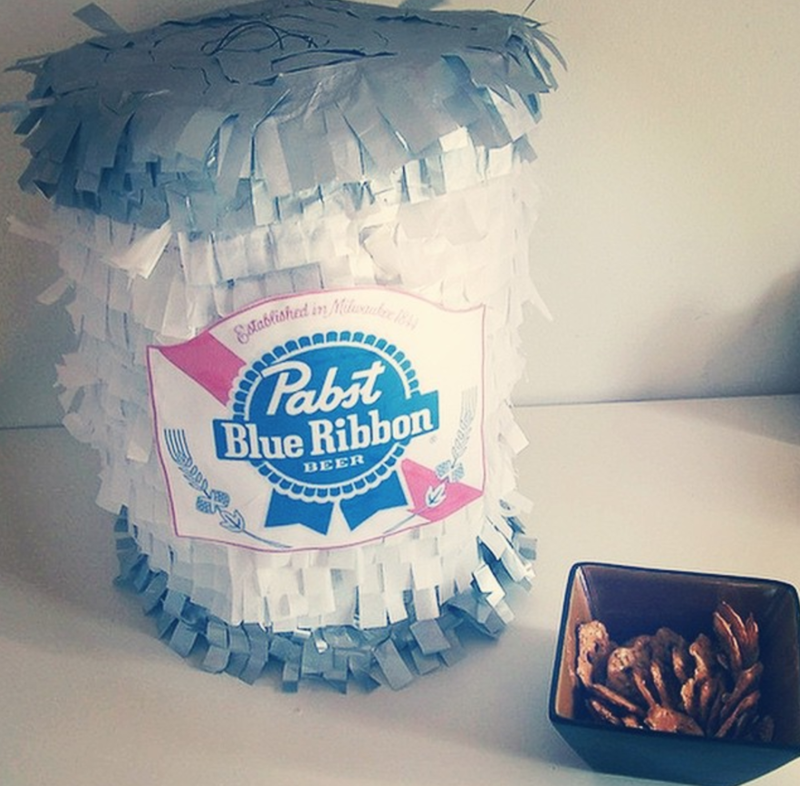 How many times can we say- piñatas are hit? Yes, even adults can have as much fun pinata-ing as your children. Potentially more. Let us make your favorite thing and you can fill it with adult goodies and try to prove me wrong!